If your kids have been begging for a puppy, this is a great time of the year to get one. Here are some handy tips from DealDash to help your kids take care of the new puppy. Getting a puppy can be a wonderful way to help teach your kids about responsibility. There are lots of things that your kids will need to learn to properly take care of a puppy including the following ways, from DealDash. The puppy is going to need a place to stay. You will want to help your kids set up a place the house where the puppy can do things like eat and sleep. This way the puppy will eventually know where to go to relax and get their food and water. Consistency is good for both kids and dogs, so this is an important step in caring for the new puppy. You will also want to get your kids on board with helping potty train the puppy. They can assist by cleaning up messes and helping to teach the puppy that it needs to go outside to go to the bathroom. This will help the kids to know that not everything is completely fun when you have a puppy. You’ll have to help younger kids, of course, but older ones should be able to do this with minimal help. Don’t Forget to Feed Him! 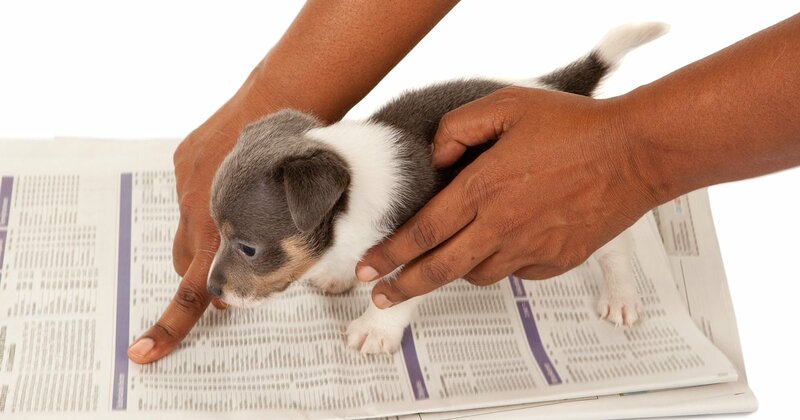 Next, you will want to have your kids help to get your puppy on a feeding schedule. You should have your kids take turns feeding the puppy and getting it water so that the puppy will grow up healthy and happy. Just remind your kids not to overfeed the puppy so you do not have to worry about it becoming overweight and having health issues. You might want to set up a chart to show whose turn it is to feed and water the puppy. They can check it off after they feed and water him so that everyone will know that he does not need any more food. Playing with the puppy is also something that your kids will want to do. You need to teach your kids not to play too rough with the puppy even though the puppy might be a little rough with them. They need to know that the puppy is still growing and can get hurt easily so when playing everyone needs to be careful. In addition to playing, you will need to show your kids how to take the puppy for a walk. For younger kids, the “walk” could even just be outside in your backyard. It will teach both child and puppy how to use the leash. Getting a puppy can be a big responsibility for kids so be sure to teach them all that they need to know so that they can help bring up a happy and healthy puppy. Thanks so much for reading this DealDash article on puppies and kids. Don’t forget to check back every day for new articles here. Also read our sister blog, DealDash Tips. We love to hear from our readers, just leave a comment down below. If you’re getting a puppy you will need supplies. Go check DealDash for dog and pet items. DealDash has all of the puppy things that you need. Visit DealDash now to see how much you can save. Have a great time on DealDash and happy bidding everyone! This entry was posted in Home, Kids and Parenting, Pets and Animals and tagged Deal Dash, DealDash, dealdash auctions, dealdash.com, dog, dogs, family, home, house, kid, kids, pet, pets, puppies, puppy on May 21, 2018 by . After getting a new pet it’s important to take them for a check-up. Here are some tips for a stress-free first visit. You just got a new pet, how exciting!! However, reign in that excitement, because it’s very important to take them to the vet when you first get them to make sure that they are healthy. Here are some tips to keep your pet happy and stress-free during that first visit, from DealDash. If your pet is small enough to fit in a pet carrier, such as a puppy, kitten, or cat, then you should bring them in the carrier. When a new pet is riding in your car they can feel very insecure. The pet carrier makes them feel safe and secure. Not only that, you can seatbelt the carrier in so it doesn’t move around during the trip. In the carrier, you can put a soft blanket or towel as well as a soft toy for them to cuddle or a bone or chew toy for a puppy. If you have a blanket or towel that you have been sleeping on, you should use that one. It will make them feel more safe and secure. If your pet has a favorite kind of treat, bring a little bag of them along. These treats can be very helpful in keeping your pet happy and calm during the vet visit. Also, it will be a nice bonding experience to give your pet some of their favorite treats after the vet visit is over. Animals are very intuitive and can tell when their humans are nervous or upset. When they sense that you are upset it makes them feel upset as well. Dogs and cats can be very empathetic to their humans. So if you have any anxiety about this vet visit, try to keep calm, cool, and collected so your pet doesn’t get upset as well. Put on a brave face even if going to the vet makes you feel nervous. Remember, this is just a check-up, your pet is going to be fine. Keep all of these things in mind when you are taking your new pet to the vet for the first time. These tips will keep them happy and calm when they are going through a stressful time. I hope that you found this DealDash article on taking your pet to the vet helpful. If you have any tips for pets and their owners please share them below in a comment on this DealDash blog. DealDash has plenty pet auctions with items for cats and dogs. DealDash has a great selection of pet items. Visit DealDash now to check out the auctions. Have fun on DealDash, and happy bidding everyone! This entry was posted in Pets and Animals and tagged animal, cat, cats, Deal Dash, DealDash, DealDash Auction, dealdash auctions, dealdash.com, dog, dogs, kitten, kittens, pet, pets, puppies, puppy, vet, veterinarian on January 19, 2018 by . Teaching a large dog to walk on a leash can be a little more difficult. Never fear, DealDash is here with tips for walking a large dog on a leash. Teaching your large breed dog how to walk on a leash is very important. It will stop your big dog from pulling and tugging on the leash while you are walking him. Putting your large dog on a leash will keep him by your side while also giving him enough room to roam around. Training your dog how to walk on a leash can be a difficult task, but these tips will help make the process much easier. Read on for more information from DealDash. The first thing you need is a sturdy collar or harness and a 6-foot leash. You don’t want the leash to be any shorter because he won’t be able to explore, but if it’s longer you might have trouble managing him. It is best to use a sturdy collar because your dog can easily slip out of the buckle while they are on the leash. The best collar for your dog is a Martingale Collar. These types of collars will help make training your dog to walk on a leash easier. It is best to also be prepared with some treats for your dog. Pick a phrase or a word that will let your dog know what he should expect. Since you are not telling your dog to heel a simple “let’s go” will work well. You should start out by walking on the side of your dog and then give the command. When you notice your dog is pulling on the leash you should stop walking immediately and do not move. You should never allow your dog to keep moving forward when he is pulling or lugging. This will teach him that the only way he is going to move is if he leaves some slack on the leash. When there is slack on the leash, you can then command your dog to go. Once your dog is getting used to the leash and is obeying your commands, you should reward him with praises, toys or some treats. You most likely will need a lot of treats when you first start training him to get his attention. If you give him treats frequently it will encourage him to walk on a leash. Training your dog to walk on a leash will take a lot of patience. Remember to be consistent with the commands and reward him for his good behavior. Before you know it, your dog will be walking on a leash with no problems. Teaching a dog how to walk on a leash is important, especially for a larger breed dog. Even though you might not have any trouble handling a 25-pound large breed puppy, once he is a grown 80-pound dog you might run into some problems. Teaching him how to walk nicely on a leash when he is young will make your life easier. I hope that you found this DealDash article on walking a large breed dog helpful. If you have any tips for pets and their owners please share them below in a comment on this DealDash blog. DealDash has plenty pet auctions with items for dogs. DealDash has a great selection of pet items. Visit DealDash now to check out the auctions. Have fun on DealDash, and happy bidding everyone! This entry was posted in Pets and Animals and tagged Deal Dash, DealDash, DealDash Auction, dealdash auctions, dealdash.com, dog, dogs, exercising, family, large breed dog, large dog, puppies, puppy, walking on January 14, 2018 by . Having a pet is like having a furry family member. Spoil your pet with these amazing gifts. Read on for more information from DealDash. No matter what kind of pet you have, be it a dog, cat, bird, or small furry animal you can always find a great gift for them that they will love. You just have to look around and get into a creative state of mind. Here are some amazing gifts for your pet, curated by DealDash. The first place to look for amazing pet gifts is DealDash, of course. DealDash offers the highest quality and most beautiful pet beds around. A pet bed is more than just somewhere for your pet to sleep. It can be a decoration for your home as well. Instead of just a cushion on the floor, why not get a pet bed that compliments your home’s aesthetic as well? If you’d like to check out either of the pet beds above or the other choices on DealDash, just click this link right here and you can browse for your pet’s newest comfy bed. Now, where I live in Boston, most people keep their dogs inside, especially in the winter. However, I know in more temperate climates, many dogs prefer to be outside a large portion of the day. If you leave your dog outside for more than an hour or so at a time, you should probably have a doghouse outside for him to rest and have some shade. 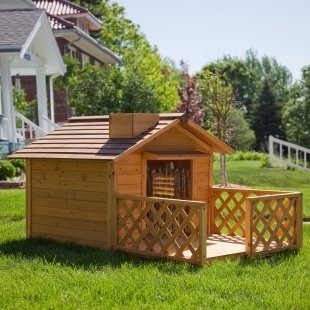 Luckily for you, DealDash has some attractive dog houses that you can bid on in an auction. 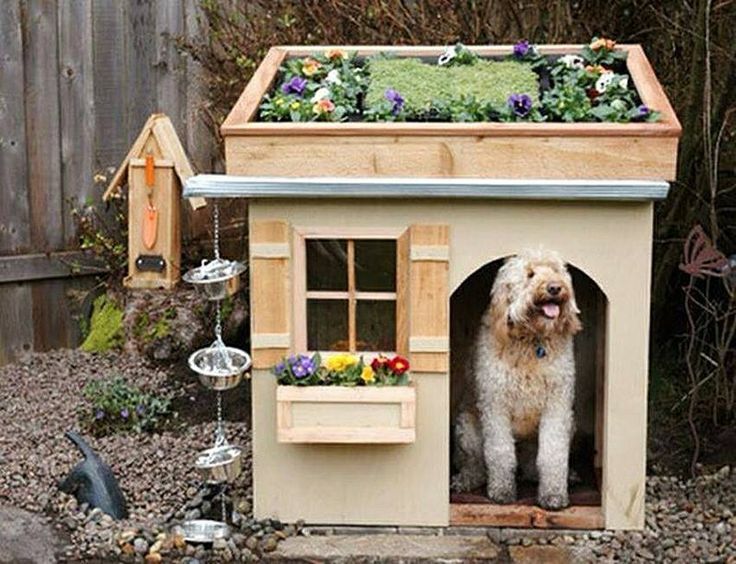 If you’d like to decorate your new dog house, I’ve seen some amazing designs that people have added on to their dog’s house. Check out the picture below for some ideas. For dog items on DealDash, just click this link. Cats are the most curious and playful creatures around. Reward their jolly nature with some toys that will enhance their life. 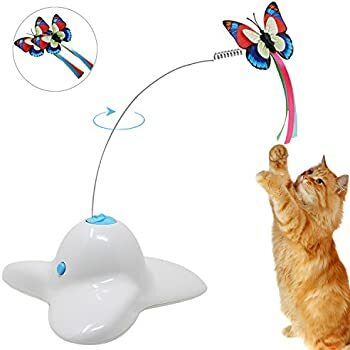 Luckily, cat toys tend to be fairly inexpensive – you can get a little jingly ball or a soft mouse toy for around a dollar in just about any store that sells pet supplies. If you want to get a little more creative, though, check out the fun toys that I’ve gotten for my cats. 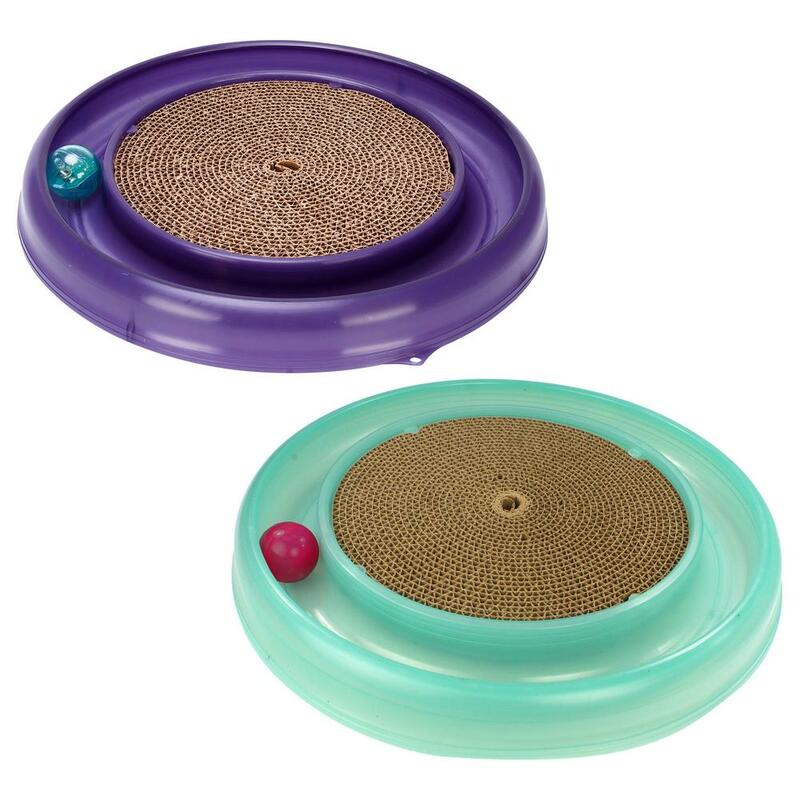 These round tracks with a ball and a scratching circle in the middle really keep the cats entertained for a while on their own. They serve a dual purpose, as a toy as well as a scratcher to keep their claws in good shape. This little butterfly toy is my tiny kitten’s favorite. It’s on a very thin wire, so when it’s turned on it flits and bounces around just like a real butterfly does. It’s so much fun to watch them play with it. The only drawback, though, is that once they pounce on it and “catch” it, the base tips over and requires human intervention to put it back up again. However, this small inconvenience is worth the fun that my two kitties get out of this toy. Keep all of these things in mind when you are looking to shop for a great gift for your pet. These pet gifts are fun and entertaining for both you and your pet. Do your pet a favor and get them a gift! I hope that you found this DealDash article on getting your pet a gift helpful. If you have any tips for pets and their owners please share them below in a comment on this DealDash blog. This entry was posted in Pets and Animals, Review and tagged cat, cats, dog, dogs, kitten, kittens, kitty, pet, pets, puppies, puppy on January 12, 2018 by . Potty training your puppy is something that you need to do but it can be difficult. Here are some tips from DealDash. You have made a decision to adopt a puppy, but now you are unsure of how to train your puppy to go to the potty. A lot of people are in your situation, wondering what they should do. Most people don’t know how to potty train their puppy. You probably had a wake up call when your puppy went to potty on the carpet. If you ever wondered how to train your puppy to use the potty here are some tips, from DealDash. One of the easiest ways to train your puppy is to pay attention to him. 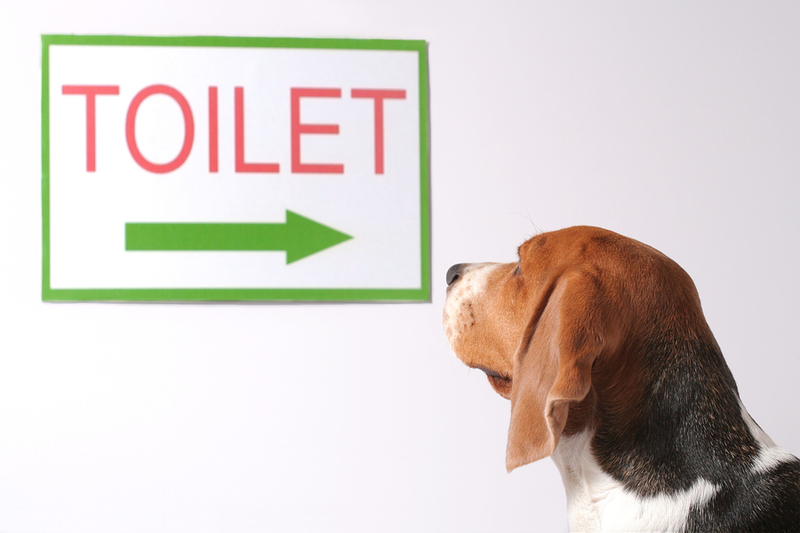 Your puppy will have certain signals when he is ready to use the potty. Remember to make sure that you can always see your puppy. You made need to use things such as baby gates to close off the doors so he will not wander around the house and use the bathroom. If you notice that your puppy is sniffing or starting to squat carefully pick him up and take him outside. It is important to take your puppy outside to use the bathroom after he drinks or eats. A puppy will have to use the bathroom each time after he eats. When you take your puppy outside to go to the potty make sure you stand or sit with him instead of playing with him outside. Make sure that you do this every single time so he can get into a routine. Giving your dog praise when he uses the bathroom can also help your puppy. Giving him a treat will let him know that he is doing a good job of going to the bathroom outside. Make sure that you act very happy and call him a “good boy” and give him lots of pets and scratches. Crate training can also be an option. Puppies will learn how to hold it when they are in the crate, and that will train them to use the bathroom outside. Puppies and dogs don’t like to use the bathroom where they sleep, so be sure that when you crate him the crate is not too large. Otherwise he can use the bathroom in one end and sleep in the other. Potty training your puppy can be stressful, but these tips will help make the process easier. It takes a while for a puppy to be potty trained, so have a little patience. Being patient and consistent with your puppy will help train him to use the bathroom. It may seem stressful that your puppy may not be learning fast enough, but with a enough time and training, he will learn to go to the potty. I hope that you found this DealDash article on potty training your puppy has been helpful. If you have any tips for pets and their owners please comment down below. DealDash has plenty of pet auctions with items for dogs, cats, and other animals. DealDash has a great selection. Visit DealDash now to check out the auctions. Have fun on DealDash, and happy bidding everyone! This entry was posted in Pets and Animals and tagged animals, Deal Dash, DealDash, DealDash Auction, dealdash auctions, dealdash.com, dog, dogs, family, home, house, housetraining, potty training, puppies, puppy on December 2, 2017 by .